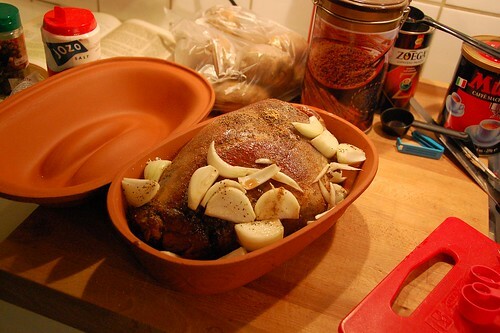 A few days ago I used Camilla’s unused claypot to cook a steak of roe deer. 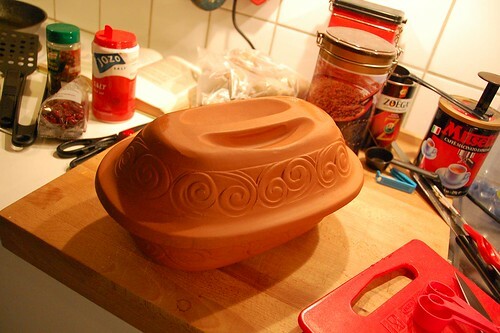 The result was amazingly juciy and very tasty. Above you can see the steak before it was put in the oven for 2 hours.